Most of our competitors behave as if they can control prices. We think this is a prideful mistake that ultimately leaves unrealized profits on the table. Market Driven Pricing is the humble acceptance that we do not control prices. We zealously believe that the market controls prices. Our job is to listen, understand and react to what the market tells us. 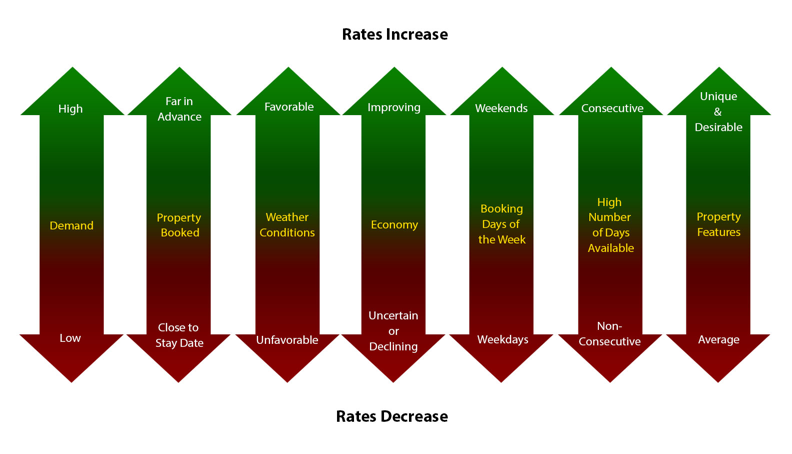 The graphic below illustrates some of the key changes we watch for and what kind of influence those changes typically have on prices.